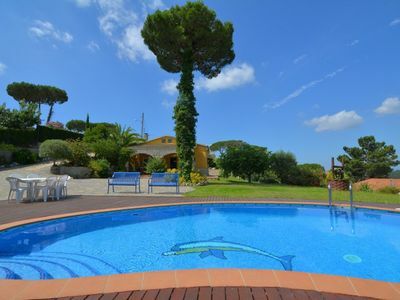 This beautiful, 320 m2 large, newly built house is located on a plot of 1. 068 m2. It is located in the coastal residential area of ​​Sa Torre, which belongs to this municipality, in the southeast of Mallorca. From the terraces of the second and third floor opens a spectacular view of the bay of Palma and the mountains. The house has three floors, you get into the house through the main entrance of a quiet and safe street, with easy parking. Through a large entrance leads into the bright and spacious living / dining room of 60 m2 with fireplace and access to the terrace with pool. 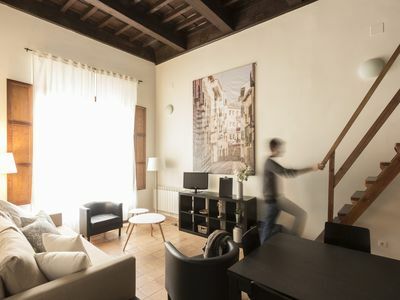 On the right side there is a modern, open well-equipped kitchen of 30 m2, which also has access to a terrace, a utility room of 6.50 m2 and a small Weikeller. On the same floor is a double bedroom on suite. From the entrance is reached by a staircase on the second and third floor, where the rest of the rooms and bathrooms are. 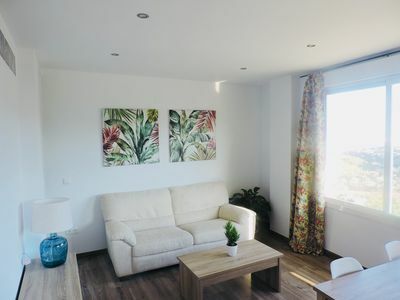 On the second floor there are two double bedrooms, a full bathroom and yet another double bedroom on suite and Jacuzzi; All rooms have a private terrace and large windows that provide plenty of light. On the third floor is a double bedroom on suite with jacuzzi and terrace with spectacular views of the sea and the mountains. The house has air conditioning (hot / cold), a fireplace and Wi-Fi connection. 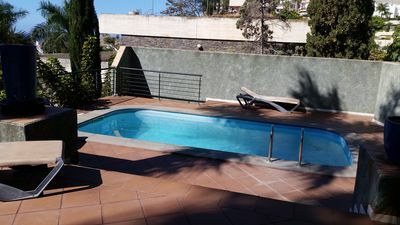 This modern house is located just 1 km from the cliff with wonderful views over the bay of Palma. The urbanization of Sa Torre is a very quiet residential and resort on the coast. There is absolute silence. The municipality of Llucmajor is located in the south of Mallorca, in a privileged location on the Bay of Palma. 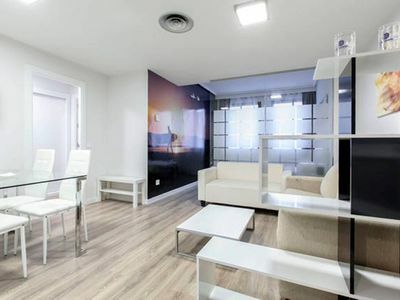 One reaches only 15 minutes from the airport and 20 minutes from the center of Palma. The municipality of Llucmajor is located in the south of Mallorca, in a privileged location on the Bay of Palma. On of the 47 kilometer long coastline of Llucmajor you discover secluded coves, pristine beaches and a stunning rugged coastline. There are recreational sports activities offered such as: sailing, windsurfing, jet skiing, fishing, diving and etc. The surrounding area of ​​Cap Blanc consists of a beautiful natural landscape, "Marina" of Llucmajor. The close-lying beaches are Cala Blava, a sandy beach and crystal clear water (6.6 km); Cala Pi one of the best beaches of Mallorca, there is a sandy beach (19 6 km away); s'Estanyol is a sandy beach and a pebble beach, located in a natural environment (27,6 km) and Es Trenc is an idyllic, long beach with white sand and crystal clear water (41 km). In Llucmajor you will find a variety of civilian both religious architecture. Llucmajor offers numerous opportunities, including a wide choice of restaurants and spa facilities as well as shopping, golf, boating, water park and race track. The close-lying golf courses are: Golf Maioris (700 meters) and Golf Son Antem Mallorca (11,7 km). On the Plaza de España Llucmajor every Wednesday, Friday and Sunday the weekly market and on Tuesdays, Wednesdays, Fridays and Saturdays in s'Arenal. Llucmajor offers extensive cycling routes of 400 kilometers on the coast. The community also offers the opportunity to play some favorite outdoor activities, such as hiking. You can make several trips to the coast. The exterior of the house has a covered terrace, a large table for outdoor dining, a fenced pool with several sun loungers. 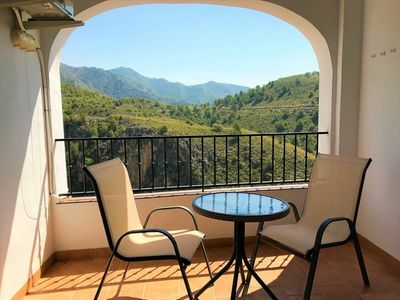 It is an ideal place to relax and enjoy the sun, everything you need for a quiet and comfortable stay, with or without children. 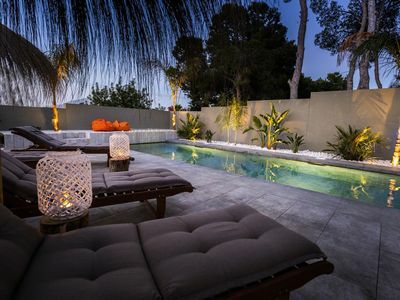 The outdoor area also has a garden with lawn, olive and palm trees and a shower. At the same time, the garden offers a play area for children to play and have outdoor gym. 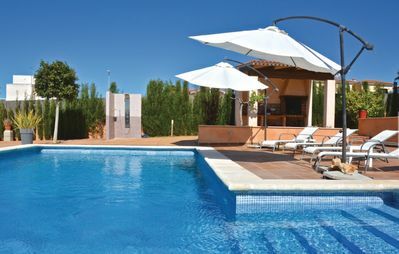 On one side of the pool there is a barbecue with other table and chairs to enjoy your culinary delights. 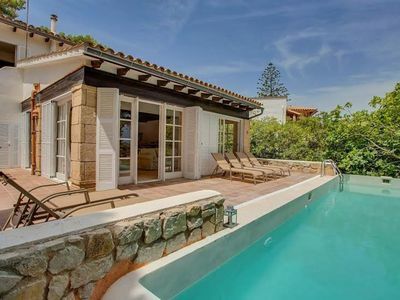 This beautiful home also offers a view from the upper terraces of the sea, the bay of Palma and the mountains. Please note that the tourist tax is 1 € per day and per person (over 16 years). The price includes bed linen, towels for use in the home, dish towels, final cleaning and utilities (water and gas). Electricity is not included in the price, electricity costs 0.25 cents / KW. The first high chair and a first cot can be provided free of charge. HOLIDAY RENTAL APARTMENT..5 KM TO THE NEAREST BEACHES,WIFI,.SUNNY TERRACE.